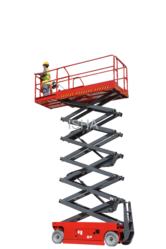 Prominent & Leading Manufacturer from Coimbatore, we offer lift table, scissor lift with cabin, hospital cadaver lift, e - type platform lift, self propelled lift and self propelled scissor lift - diesel engine. Adjustable height work carrying platforms, fixed and moveable. Transferring goods and people between building floors and level variations. Loading and unloading vehicles, aircraft and rail wagons. Surface mounted low closed height to aid palletisation and depalletisation. 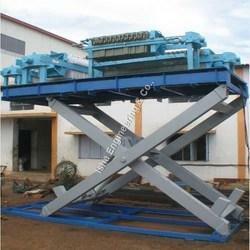 Lifting and lowering of material stacks for break down and build up in production lines. 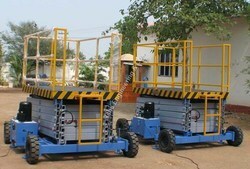 We are a leading manufacturer, exporter of Scissor Lift with Cabin. 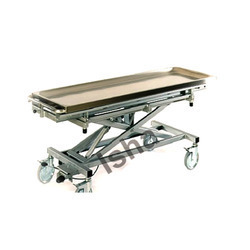 Hospital Cadaver Lift offered comprises precision designed & developed battery operated hydraulic lifts that come with support of narrow straddle that provides for complete usage ease even in congested work areas. High productivity gains can be achieved by installing E- Type Platform Lift. Time spent moving and climbing ladders and scaffolds is eliminated. Innovative controls speed up application processes and improve employee safety and satisfaction levels. Continuous product improvement and development of new features keep these lifts at the fore front in worker positioning. 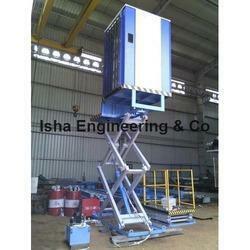 We are the Leading Mamufacturer and Suplliers of Self Propelled Scissor Lift for Diesel Engine. 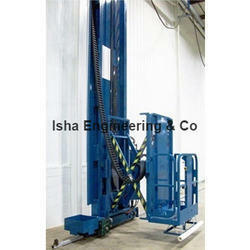 We offer Industrial Lifting Equipments, that is a multi-utility custom built lift used in various applications. 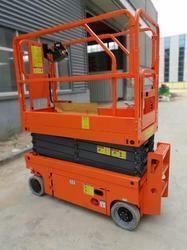 The fixed type lift is vehicle mounted and has the lifting height of up to 40 feet. Fabricated using quality raw material, the machine is precision designed, easy in operation and provides optimum performance. 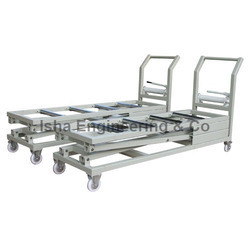 It is applicable in automobile showrooms, two or three wheeler lifting, loading and unloading from trucks and in many other industrial applications. Cadaver Lift offered comprises precision designed & developed battery operated hydraulic lifts that come with support of narrow straddle that provides for complete usage ease even in congested work areas. Further, these can be provided with support of expanded metal safety screen for operator protection. Some of its features include powering of lift through heavy duty battery, comes with floor locks and foot guard as standard support, has reversible forks for increased lifting height, comes with adjustable span, ha front/side rolling caster support for all directional movement among others. 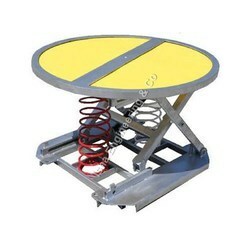 Turntable PA Lift is a light weight Palift designed especially for light pallet loads up to 250kg. It is suitable for customers with light loads who want the benefits of a pallet leveller for their palletising or depalletising operations. The Palift Lite automatically keeps the pallet or stillage load at the optimum working height when loading or unloading goods. The Palift Lite reduces the amount of effort required to shift goods. Productivity is significantly increased and injuries are reduced. The Palift Lite has a robust design and high frequency use with no maintenance. The Palift Lite is available in stainless steel and square top options. High productivity gains can be achieved by installing Multi-Axis Lift Systems. Time spent moving and climbing ladders and scaffolds is eliminated. Innovative controls speed up application processes and improve employee safety and satisfaction levels. Continuous product improvement and development of new features keep these lifts at the fore front in worker positioning. Our organization has gained recognition for providing premium quality Four Post Lift. The offered lift is manufactured using the best quality components and innovative technology under the guidance of adept professional in line with set industry standards. 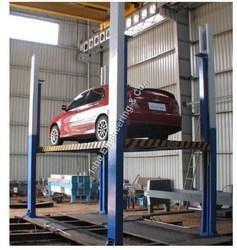 Our provided lift is used in professional garage or home-enthusiast. Clients can avail this lift from us at affordable prices.